Everyone loves innovation, right? New ideas help us do so many things better, whether it is computers for productivity or magnetic resonance imaging for medical diagnosis. To be against innovation is to be against human progress. Or is it? Innovations by definition disrupt existing products and markets, and the people who make a living working in those markets. Innovation breeds winners and losers. It’s always been so. The massive dislocation of manual labour from advanced Western countries to low-cost emerging economies has literally destroyed tens of millions of jobs, only to be recreated elsewhere. The semiconductor revolution has enabled incredible innovations in virtually every sector of the economy, disrupting companies and people. The “Internet of Everything” is bringing technological innovation to homes and to farms; there will be no sector of society left untouched. All good… unless you can’t keep up. Unless you’re one of those people who loses their job, you’re probably happy, too! You’ve got your iPhone (and not a Motorola StarTac), you’ve got Airbnb to find you a cheap place to stay (instead of an overpriced hotel), and you’ve got Netflix at your fingertips (and not Blockbuster and a drive to the store and their endless late fees). In each instance the innovator changes the rules on the incumbent. But who makes those rules is crucially important. For most innovations, “rules” are a metaphor for a new way of competing, but in some markets there are very precise rules on how you must compete and government regulators carefully crafted those rules. Take Uber as an example. Using a smartphone app, Uber connects riders to everyday drivers, bypassing traditional taxicab services in city after city. A clear boon for riders, Uber has generated protests and new restrictions in many of the cities to which it has expanded. Who is protesting? Traditional taxi drivers, who are subject to all sorts of regulations that have the duel effects of limiting competition and increasing driver compensation. 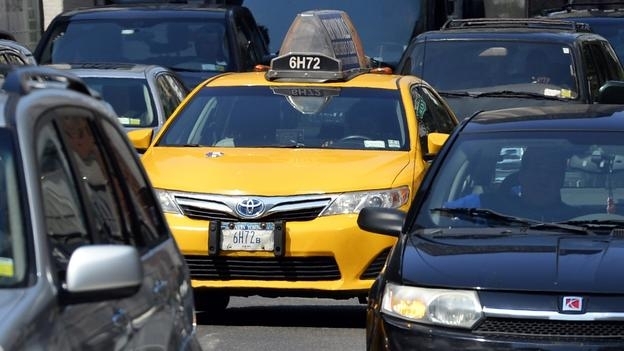 In New York, taxi medallions sell for $1m. Jumping through the hoops required to get a London black cab license takes 4 years. The deal is clear: taxi drivers are granted a local monopoly in exchange for subjecting yourself to the myriad restrictions regulators deem necessary for public safety (in Chicago, the taxi number must be printed in black plain gothic font, in three different places on the cab, for instance; in NY, there are 70 pages of rules just for drivers). So it’s not that surprising that when Uber shows up — operating without special regulations — taxi drivers are up in arms. Regulatory restrictions force traditional taxi drivers to compete with one hand tied behind their back. There are two obvious solutions. One is to remove the regulations that no longer have meaning in light of the Ubers of the world. The other is to ban Uber. Both solutions have costs. If you open local markets to full competition, the incumbents who have been saddled with regulations and costs lose; if you turn your back on innovation, customers lose. One thing I’ve noticed in talking about this dilemma is that while most people feel no sympathy toward companies that lose to innovators (even the formerly addictive BlackBerry produces little empathy), it is not unusual for people to express remorse at the fate of the black cabbies. After all, they followed the rules imposed on them by others, and now find those very same rules restricting their ability to compete. Fighting among taxi drivers is one thing, but what happens when the inherent conflict between regulation and innovation hits health care? Recently Gilead, the US-based pharmaceutical company, introduced a blockbuster drug that actually cures Hepatitis C. There’s just one problem — the price of the drug, Sovaldi, is $84,000 a year. Before jumping on the back of Gilead, it’s worth noting that the company has cut prices for some patients, is heavily discounting Sovaldi in many countries ($900 for treatment in India), and has a 10-year patent protection window after which generics will dramatically lower the price. And Sovaldi provides a treatment that will greatly reduce patient suffering, as well as lifetime health care costs incurred from Hep C (cirrhosis of the liver is a common complication), offsetting other very high costs from living with the disease that can be over $100,000 by some estimates and top $280,000 if a sufferer needs a liver transplant. Since most people have health insurance, much of the cost will be borne by Medicare and other health care systems. Regulators, however, have so tightly constrained the discretion of health care payers to reimburse for treatment that doctors prescribing Sovaldi are creating a gigantic burden on their health systems. Like the protectors of black cabs in London, regulators advocate forcing Gilead to lower the price. In other words, make the innovators pay. But just because we have ecosystems that can’t easily adjust to market changes — try getting the US government to increase Medicare fees to pay for innovation — why should the fall back be an anti-innovation public policy? There are no easy solutions here. Business unfettered by regulation doesn’t turn out so great, lest we forget the global financial crisis, which was driven in part by the deregulation of financial markets in many countries, and especially the US. But like most people, I want my Uber, and even more important, should I ever need it, I absolutely want my Sovaldi. The truth is that every innovation creates losers. But let’s not forget that the winners, and the benefits they accrue, also count, a great deal.